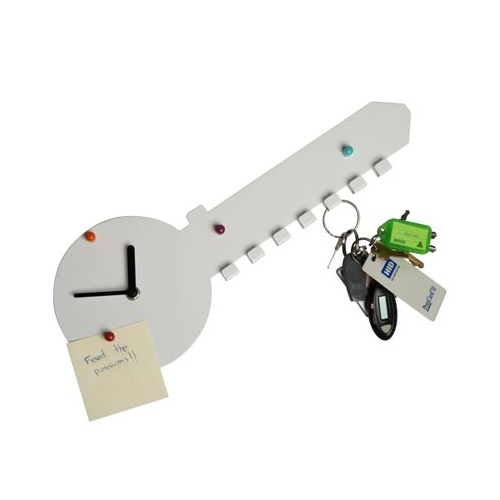 Key Hook Wall Clock | Funky and functional! 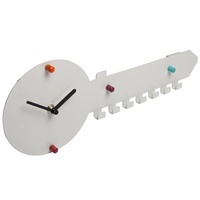 The Key Hook Wall Clock is sure to transform your kitchen, bedroom, office or hallway wall! It's modern and functional with a lovely magnetic finish that allows you to display notes and photos using the super-strong coloured magnets included in the pack. 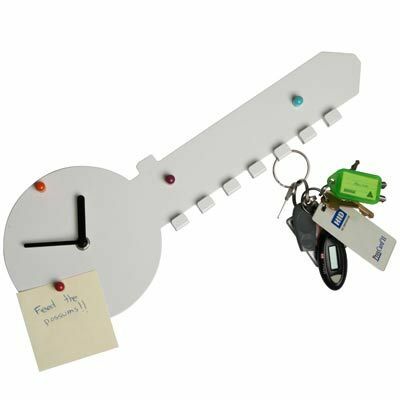 Not only is it funky AND functional, it also comes in the shape of a key featuring 7 handy key hooks for hanging up your keys and other lanyards! The analog clock requires 1 x AA battery to run (not included), and is sure to impress you with both its simple style and convenience! The Key Hook Wall Clock is 40cm long and 15cm wide and comes with 4 multi-coloured magnets and an hour and minute hand for the clock. Check out the Around the World Glass Clock as an alternative!